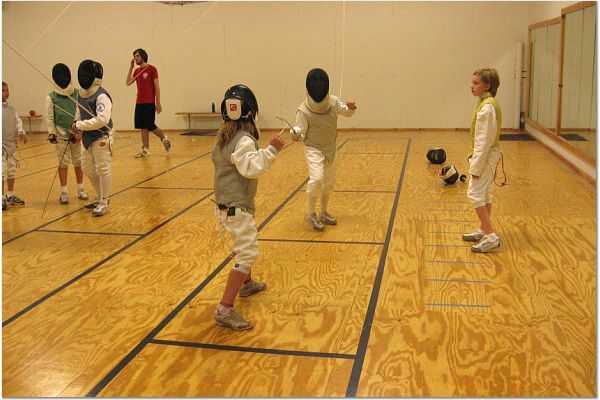 For Youth, Cadet, Junior, and Adult fencers who are motivated to achieve success in competitions at the local, national, and international level, we offer our Team GRAFA advanced fencing program. We consider it a privilege to represent Grand Rapids Fencing Academy and admission to this program is only by the Maestros’ recommendation. Students must meet designated skill levels and be willing to make a commitment to learn, train, travel, and compete. In order to be a member of our competitive team, the fencer must commit to a regular training regimen and tournament travel. Students with desire and commitment can quickly develop skills that will make them formidable opponents. Team GRAFA members are required to attend all club tournaments and any local tournaments that are scheduled by the coach. At these tournaments team members can receive National Classifications, which are used in seeding in competitions. When a student reaches a certain level of skill, he or she may become eligible to begin traveling with our team. Depending upon the student’s age and ability to qualify, the number of national tournaments will vary with a maximum of three for those under 14 and a maximum of five for under 20. Our fencers are expected to be courteous and respectful to one another and to other fencers, their coaches, and fencing officials. Our youth Team members are expected to maintain their grades in school. All team members wear their Team GRAFA warm-ups with pride during competitions. At GRAFA we teach our students that sportsmanship is an integral part of any athlete’s success. We work to develop a strong team spirit and stress personal responsibility. Team support is evident at our tournaments. 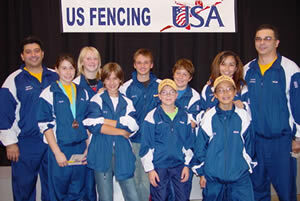 Team GRAFA is proud and committed – Our fencers are like family.